Hello everyone! This weekend I was going through my closet and found this old bohemian paisley shirt that sort of reminded me of Isabel Marant's spring 2013 collection, so I was glad I kept it! I decided to wear it with shorts (which I guess you can't really see in the photos), a brown belt and sandals. It is also time to announce the lucky winner of a Be Mine clutch: Viviana Costa. Congratulations! Olá! Este fim-de-semana encontrei estava a vasculhar o meu armário e encontrei esta camisa antiga de estilo boémio que me fez lembrar a colecção primavera 2013 da Isabel Marant, por isso fiquei contente de não a ter deitado fora! Decidi usá-la com calções (que não se conseguem ver nas fotos), um cinto castanho e umas sandálias. 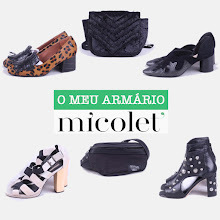 Hoje anunciamos a vencedora do nosso fantástico passatempo de uma clutch da Be Mine: Viviana Costa. Muitos Parabéns! Great Look! So good that you found it I think it's very colorful and it looks perfect on you! It almost make me want the summer back -we're in winter here down south- Its a super cool outfit for hot days, well done! De repente pensei que era um jumper. Gostei muito deste look. Sempre bonita! Muito gira, adoro a túnica! That paisley print is great!! antes de ler o texto achei que era um macacão! muito bonita! Lovely jumpsuit, I really like the print form ! Loving the romper, great look! !